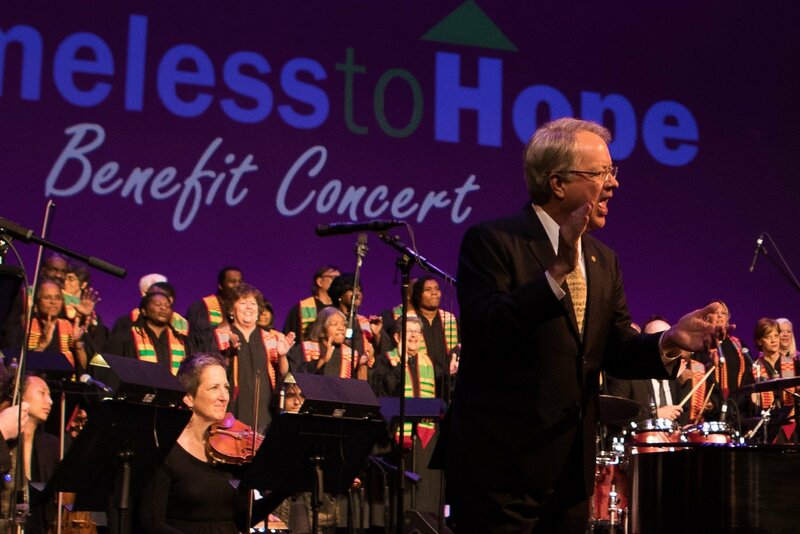 Join Charleston Mayor John Tecklenburg and Mount Pleasant Mayor Will Haynie for an uplifting musical celebration in support of the Homeless to Hope Fund. Entertainment line-up includes iconic Charleston musicians, including the recent South Carolina Music Hall of Fame inductees Blue Dogs, soulful vocalist Zandrina Dunning and BlackNoyze Band, percussive Americana Rock band Rene Russell and the Bottom End and singers from the College of Charleston Choir, Charleston Symphony Chorus and Taylor Festival Choir under the direction of Dr. Rob Taylor. Special musical appearances by both Mayor Tecklenburg and Mayor Haynie. 2019 Homeless to Hope Award will be presented to Tracy Doran of The Humanities Foundation. All proceeds support the Homeless to Hope Fund created by Palmetto Project and the Mayors’ Commission on Homelessness and Affordable Housing to provide financial support for rent security deposits and utility deposits or other barriers to help people to obtain housing through a network of service providers. More information at www.homelesstohopefund.org/benefit-concert.